Confused about the myriad messages of conflicting information about what is good for you to eat? 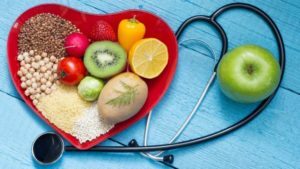 reSource is pleased to announce a new service to provide personalised support for those people seeking to follow a quantum food plan following a health analysis.We are aware that there is no one-size-fits-all diet plan because everyone has different food sensitivities and nutritional deficiencies, and may have priorities set by the need to detox, or to alkalise, or to improve digestion, or balance hormones, or a combination of these and so on. This invaluable information can be gained by undertaking the test we can facilitate for you. We offer a symptom based analysis and bio-energetic test which in consultation can establish your nutritional needs and priorities. We can then if desired help establish a lifestyle programme for you. This is where our experience and knowledge of plant-based foods including vegetables, fruits, nuts, seeds, and herbs, can help you. A subscription of £25 per annum will enrol you on a monthly programme of suggestions, recipes, email enquiry responses and inspiration. An individualised health report from our nutritional expert is £75. For a full 90 day programme ‘Towards a Balanced Future’ the cost is £300, plus you will need to get a specific blood test carried out by The Doctors Lab (typically £175). You may decide on this after getting the report. There are a limited number of places available for this.